Seeing as I run a 3DS website people always ask me : which 3DS is best? Ofcourse the official line is that its the 3DS XL, and this is the line you’ll always get if you ask about it in a shop (for obvious reasons). But the reality is that its not that straight forward. This article will explain the advantages of each incarnation, allowing those on the fence to make an informed decision down which path to traverse. I’ll begin by talking about the standard 3DS. The older of the two ; this model also happens to be the cheaper. 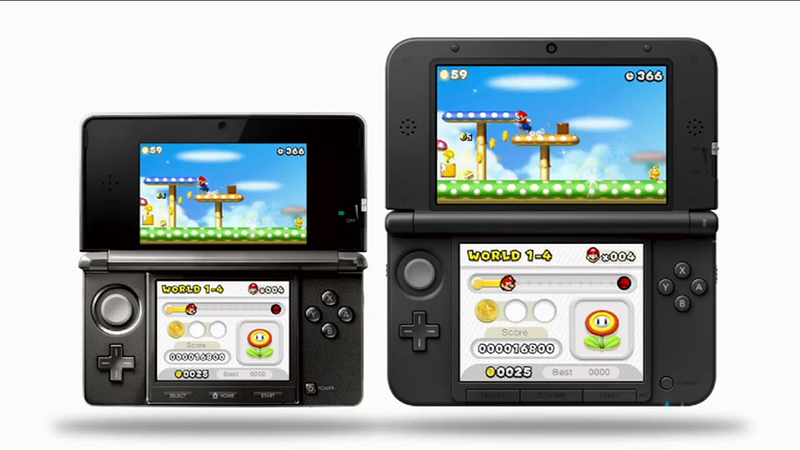 At 2.9 inches high, 5.3 inches long and 0.8 inches deep this 3DS is roughly the same size as the original DS. Which is in stark contrast to the XL, which comes in at 6.1 inches x 3.7, and a depth of 0.87, making the standard altogether a darn sight more portable. Which is the whole point of the 3DS surely? This is even further exasperated when you compare both consoles in their Circle Pad Pros (my XL practically turns into a brick!). One last little point in its defence, and this is more down to personal opinion than anything else ; the original 3DS’ design is more aesthetically pleasing. Its shiny gleam is always a pleasure to behold and really gives it the impression of being a luxury product. Almost Apple-esque! Further the button lay-out is very attractive and makes much better use of space than the XL. Despite these points the XL still has alot going for it. Just as much, infact. Firstly there’s the improved battery life. Estimates on the Nintendo website have it down as just half an hour more, but in reality it feels like atleast twice that (although I’d be interested to read whether readers agree with me on that?). This goes a long way to compensating for the lack or portability resulting from its size. I suppose its worth mentioning, as a final point on the XL’s side, that many of my friends consider the increased size of the XL’s screen a big bonus. 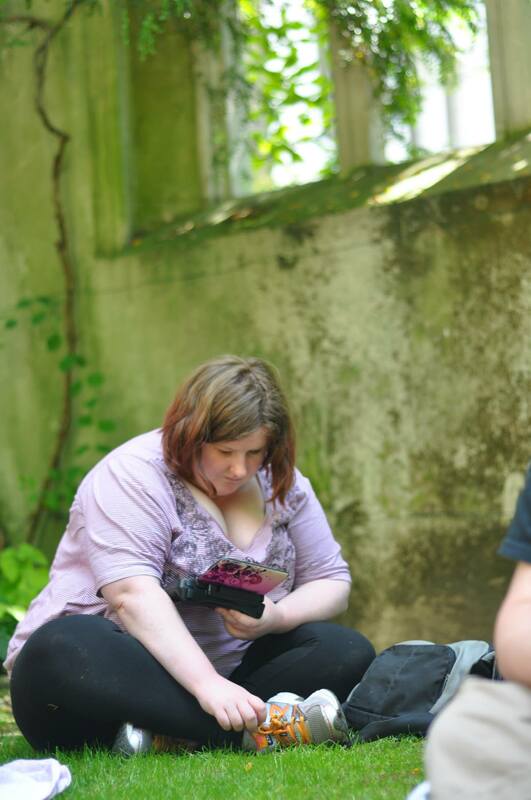 Personally it brings back memories of when the DS XL was launched, deemed the first console designed for old people. How its basic design elements have now gained so much streetcred in its 3DS incarnation I do not know, it doesn’t make sense to me. But then again I must admit I’m not getting any younger. And I’m guessing you’re not either? So there you have it. 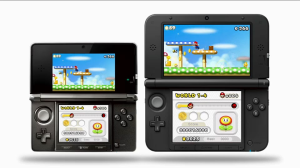 Neither 3DS incarnation is perfect, but they both have alot going for them. While I long for my dream console ; a standard 3DS with the XL’s hinges and battery life, I’ve come to accept that thats probably not going to happen. 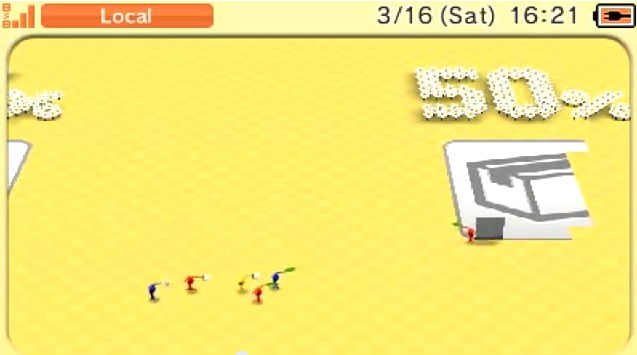 In the meantime my 3DS standard, for all its flaws, brought me many hours of happiness. And I have no doubt that my 3DS XL (for all its flaws) will bring me just as many. 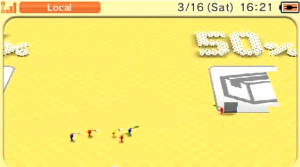 Plus upgrading meant I had the added pleasure of viewing the awesome Pikmin System Transfer video. I hope this article has been insightful. No doubt those prospective buyers/upgraders among you will have a good idea which qualities mean the most to you, and this article will have helped further point you in the right direction. 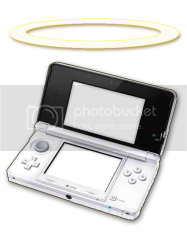 For the rest of you ; appreciate your 3DS for what it is and forget about what it isn’t. This is an great article, you are so true about the XL having that stretched look to some of the games like Mario Kart 7. What worries some people is that later games may be made specifically for the XL so they won’t look good on a standard 3DS. The XL’s resolution will never get any better, so don’t fret! Thanks for this article but I disagree about the 3DS XL screen quality. I was originally very against upgrading to the larger Nintendo handhelds (both the original DS XL and the 3DS XL) but I ended up purchasing the limited edition Fire Emblem one and was really surprised at how good the quality was. Of course it is the same resolution as the 3DS, but it isn’t what I would call pixelated. It isn’t very noticable in most games at all. In fact I find some games easier to play on the larger screens such as Monster Hunter.